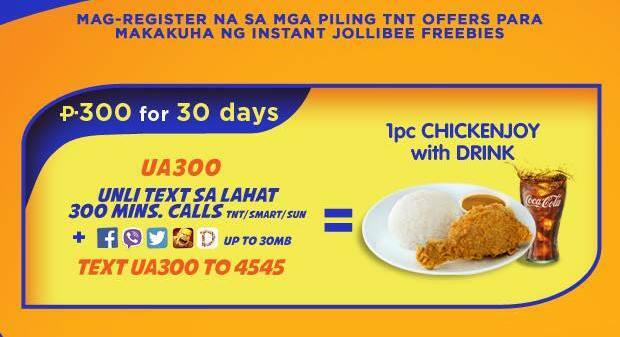 This promo consist of unlimited text to all networks, 300 minutes call to SMART/SUN/TNT with a free meal from Jollibee. Free 1pc. CHICKEN JOY with COKE as drink. Rewards will accumulate as you register to other promos and acquire load. So be sure to check your points and available rewards from time to time. Who knows what will Talk N Text put on the rewards catalog. Now Just enjoy you conversation with a meal!